Twenty-first century feminism is kinda like an oatmeal cookie; it looks pretty sweet, but when you bite into it, it’s still just hardened oatmeal. Since the beginning of the feminist movement, women have been claiming that they do not need feminism. Less passive dissidents have even suggested that the movement is over and that women don’t need feminism anymore. It’s easy to think this way; in the US, more women are in business and political leadership positions than ever before, the wage gap is (slowly, painstakingly) beginning to close, gender discrimination is technically illegal, women can vote and own property, Not All Men, #NoMakeup, Emma Watson’s speech, birth control’s sheer difficulty (not impossibility!) to access, and Gloria Steinem’s feature alongside tote bags in the spring 2016 Land’s End catalogue. Could it get any better for women? I mean, it could. It really could. But some women don’t think so. “TOP GIRLS?”, published by Angela McRobbie in 2007, explores the ways that post-feminism has constructed a “correct” and “incorrect” professional woman. She argues that the attitude that feminism is over, or no longer needed (known as post-feminism), is actually a signifier of gender re-entrenchment: the process of defying gender norms in a way that paradoxically reassert masculine dominance. When successful women take on masculine behaviors in the workplace, their performance of masculinity highlights their commitment to performing their gender and ironically harms women who can’t or won’t act out these same masculine behaviors. So no, it’s not bad that you wear a power suit to work while another woman wears a dress. Your power suit, instead, highlights that you are a woman with a higher achievement capacity, creating a dangerous hierarchy of workplace-acceptable women. Dianne has short, cropped hair. She spends little time on care work, she delegates non-essential tasks, and does not talk about her personal life while in the office. 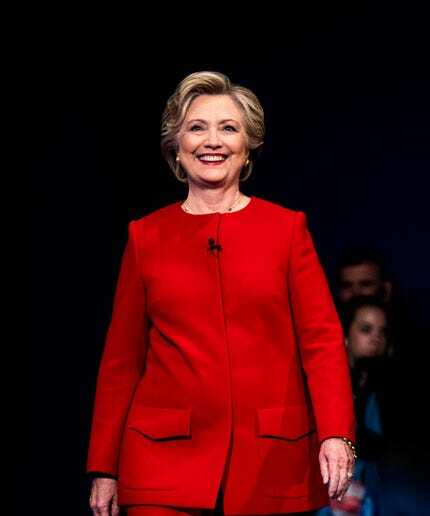 She wears a power suit. Every. Day. She does not have any kids. Dianne is a feminist. But meet Jane. Jane has long hair, and wears blouses. She does care work around the office, does not actively take credit for her work, and often asks “is there anything I can do to help you?”. She has two children, and their pictures are all over her desk. She had to take a day off once last year to stay home with one of them when they were sick. Jane is a feminist. Both of these women are good workers, and could probably perform the same tasks to the same degree of adequacy. But, Dianne is regarded as having more capacity to achieve. In the competitive meritocracy of feminism, Jane just doesn’t measure up. Dianne’s ability to adopt masculine social and professional styles in the workplace is both a product of the feminist movement, and the success thereof a signal of postfeminism dawn. Women like Jane cannot succeed under current patriarchal structures that are perpetuated by successful post-feminist examples like Dianne. I hear ya. But, the problem isn’t solved by eliminating this “top girl” who performs masculinity in the office. Instead, the fix is to regard femininity and the feminine as equal to masculinity and the masculine. Feminism, in its most basic sense, means granting women political, social, and economic equality with men; and by definition, that means valuing femininity as much as masculinity. In order for women’s continued growth, we must catch ourselves when we judge other women for acting “too feminine” or valuing a woman with masculine behaviors more than an equally competent woman with feminine behaviors. You don’t have to rock femininity, but you can’t knock it either; instead, use your new knowledge of gender re-entrenchment to specifically empower and speak up for individuals who perform femininity. Laughing is good for us. We all know that. It reduces stress, it increases productivity, and it can be used to reduce conflict. These are all reasons to get giggling in life and at work, but we want to introduce you to a few more targeted and lesser-known ways humor is used in the workplace. Jacqueline Watts conducted a two-pronged study analyzing how women use humor in a male dominated industry like the UK civil engineering profession. The first was an ethnographic study, which is a method that uses long term immersion in a culture to learn more about the beliefs, values and practices of the culture. For the second study, she conducted 31 interviews with U.K. women in various civil engineering positions. What she focused on was three distinct ways in which women and men use humor in the workplace. The first way was humor as a tool for resistance. Groups with limited agency like minorities (hint: women!) employed this strategy against dominant power structures. But this can be any group when applied to real-life scenarios. Watts gives one example of construction workers mimicking the site foremen, or younger employees teasing their older counterparts about technology. This kind of humor lets us challenge inferior status within organizational power structures in an acceptable way, as long as we don’t push too far. While resistance humor is something all of us use, humor as refuge is something Watts found to be more specific. Refuge humor, almost exclusively used by minorities, was (and is) used to create a safe space, a shared community. It was built upon a common position of relative weakness. In Watts’s study focusing on women in the male dominated engineering sector, female construction workers found comfort in engaging in innocent gossip with the secretarial staff (almost all women). The opportunity to engage in light hearted banter eased the burden of being a minority. The third type that Watts presents is not so good: humor as exclusion. While women know humor as a tool for exclusion is definitely not an exclusively male trait, Watts found that men used humor to make women a distinct other. This strategy often challenged women’s professional credibility but are couched as jokes…that it was just “teasing”. The problem is that when these types of jokes are consistently aimed at women, it lumps them together and solidifies a possibly unconscious “us versus them” mentality. This can really wear a woman down. The best coping mechanism is to not internalize it. How? Maybe strategy #1 and #2 can help. Sometimes women who experience exclusion take on partial responsibility by saying they aren’t presenting a professional enough image. “It was what I was wearing or how I acted.”Guilty of this? Stop! You know how badass you are. If you don’t, have someone remind you. 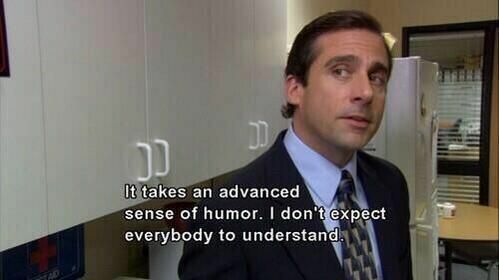 Humor is a great tool in the workplace, but don’t let the bad banter get you down. So keep on loling, lmaoing, and rofling. You’ve earned it.